10th International Conference on Chinese Medicine, Ayurveda & Acupuncture : Vydya Health - Find Providers, Products. 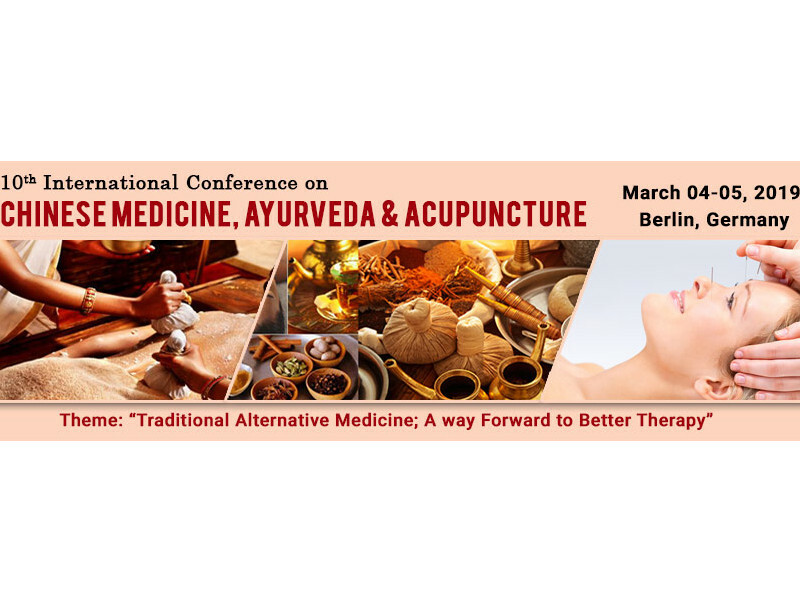 10th International Conference and Exhibition on Chinese Medicine, Ayurveda & Acupunture offers a unique window and opportunities to present and evidence the latest updates with a holistic approach to different areas of interest, to create platforms which will gather eminent scientists, medical professionals who will undoubtedly enrich the conference. Bringing together the world’s scientific experts to catalyze and advance scientific knowledge about Chinese Medicine, Ayurveda and Homeopathy and to present the most recent research findings, and promote and enhance scientific collaborations around the world.